In the 1984 movie "The Karate Kid", two types of karate schools were depicted: (1) Sport Karate represented by Cobra Kai and (2) Traditional Karate represented by Miyagi-Ryu Karate. At the Arizona School of Traditional Karate (Arizona Hombu) we teach traditional karate. Hopefully, you caught the subtleties as explained by Mr. Miyagi. Sport karate is about winning trophies at any cost, while traditional karate is about fighting for one's life - in other words, karate for self-defense and as a weapon - both empty handed (kara-te) and weapons (kobu-do). So, where did karate come from? According to legend, a Buddhist monk named Bodhidharma introduced martial arts from India. 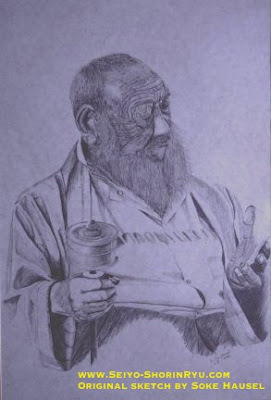 In the legend, Bodhidharma traveled from India through the Himalayan Mountains to the Henan Province of China in order to introduce Zen Buddhism to the Shaolin Temple. This event is thought to have occurred around 525 AD. When Bodhidharma arrived at the Shaolin-si (small forest) temple he began teaching meditation but found the Shaolin monks to be unfit, lazy and periodically fell asleep during meditation. To remedy the situation, he added a group of physical combat exercises known as 'Shi Pa Lohan Sho' also known as the '18 hands of Lohan'. The blending of combat with philosophy - the blending of the body with the mind, resulted in the first martial 'art'. To be an art, there must be intrinsic value for the mind and spirit - this is what differentiates martial art from street fighting, and karate from MMA. Thus, the combining of combat with meditation resulted in an esoteric art - the first of its kind in the world. Today, there are many things that are called martial arts that have no esoteric value that cannot be a martial art such as MMA and many sport martial arts. 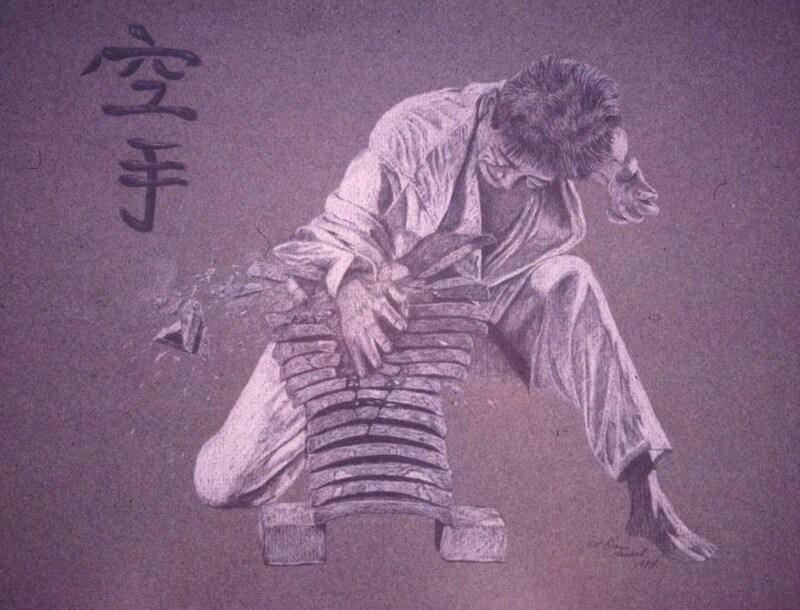 Master Gichin Funakoshi by Soke Hausel. The father of modern karate - master Gichin Funakoshi, a Shorin-Ryu practitioner from Okinawa stated, "the Purpose of Karate lies not in Victory or Defeat, but in the Perfection of its Participants". This supports karate is a martial art as it is all about perfection of character. It has little to do with victory or defeat. Furthermore, Shoshin Naginame, a grandmaster of Okinawan Shorin-Ryu Karate wrote, "If there is no kata, there is no karate, just kicking and punching" . This relates to the fact that kata, which has considerable esoteric value as well as extraordinary combat techniques, is what makes karate and important martial art. He also concluded that "Karate begins and ends with the study of kata". It is clear that kata is a living encyclopedia of martial arts techniques containing all the necessary elements for blocking, striking, kicking, restraining, body hardening (shitai kori), meditation, self-defense, weapons techniques and much more. What could be more esoteric and more combat oriented? I'm intrigued by an Indian martial art known as Kalarippayattu taught in southern India. It is a primitive combat form possibly descended from 'Shi Po Lohan Sho' with its circular blocks, open hand techniques and acrobatic movements similar to Kung Fu. Possibly, this or a similar combat exercise was introduced to the Shaolin Temple. Whatever was introduced became a major martial art all through China and was introduced to Okinawa sometime in the past. Kung Fu may have been introduced to Okinawa with the 36 Chinese artisan families that moved to Okinawa in 1392. It is thought these people introduced a book entitled 'Bubishi' - a book about White Crane Kung Fu. white crane Shorin-Ryu karate clinic. The White Crane martial art from China was tweaked by Okinawan martial artists. Nearly a century after the 36 Chinese families made their home on Okinawa, King Sho Shin proclaimed a weapons ban on Okinawa. In 1480 AD, King Sho Shin was fearful of a revolution an banned the possession of bladed weapons on Okinawa. Some Okinawan's began to develop kobudo. It is suggested the development of kobudo was left up to the warrior class (Pechin), which is unlikely as they were still able to carry swords. But no matter who developed this ancient art - whether Pechin or peasants, the tools of the Okinawa farmer, fisherman and merchant were practiced as weapons - thus kata were developed along with many waza (techniques). Karate was associated with three different villages known as Shuri, Naha and Tomari. Master Gichin Funakoshi suggested that two primary karate styles were based on different physical requirements. Shorin-Ryu was quick and linear with natural breathing and Shorei-Ryu (later Goju-Ryu) had steady, rooted movements with synchronous breathing with each movement. At some time, do was added to kara-te, making it karate do. Do was used to imply that there was a path to take with the practice of karate. The 'do' was used early on as it implied a philosophy to the study of karate. Okinawan scholar Teijunsoku (circa 1600s) stated, "No matter how you excel in the art of te and in your scholastic endeavors, nothing is more important than your behavior and your humanity as observed in your daily life". Here he mentions te and implies there was a path to follow with its training! It is reported that the first public demonstrations of the secret art of karate were performed by the Grandfather of modern karate - Anko Itosu and the father of modern karate - Gichin Funakoshi. Funakoshi's demonstration occurred on mainland Japan in 1917 at the Butokuden in Kyoto. In 1922, Jigoro Kano, the founder of judo, invited Funakoshi to demonstrate karate at his Kodokan dojo. It is thought that this sponsorship by Dr. Kano allowed for the spread of karate though out Japan. 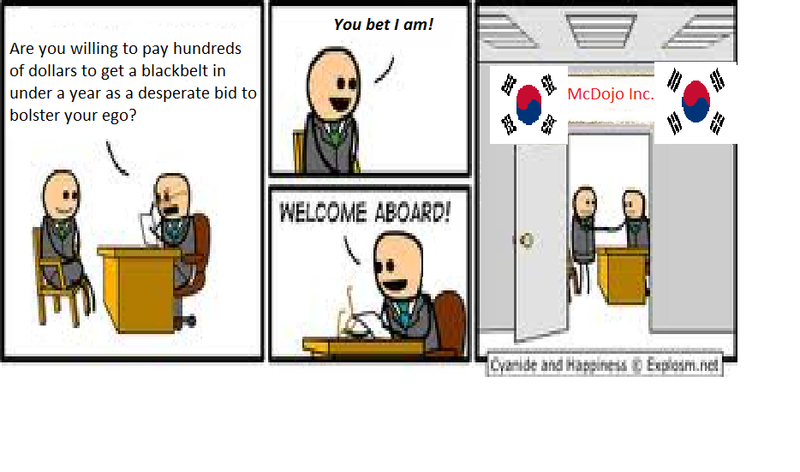 Without the sponsorship, karate would likely be uncommon on Japan because it was viewed as a peasant art. As such, some styles of karate were developed with Japanese roots that included Shotokan, Goju-Ryu, Wado-Ryu, Shito-Ryu, Kyokushinkai. The original Shorin-Ryu remained predominately Okinawan. Some of the more prominent branches of Shorin-Ryu include Kobayashi Shorin-Ryu, Shobayashi Shorin-Ryu, Matsubayashi Shorin-Ryu, Matsumura Seito Shorin-Ryu. Many Matsumura's students started their own branches that included Sukunaihyashi Shorin-Ryu, Ryukyu Hon Kempo, Kodokai Shorin-Ryu, Seidokan Shorin-Ryu, Chubu Shorin-Ryu, and Ryukyu Shorin-Ryu. Others that have recently evolved include Yamashita Shorin-Ryu and Seiyo Shorin-Ryu. Seiyo Shorin-Ryu (Seiyo No Shorin-Ryu Karate Kobudo Kai) was created in 1999 after Dai Soke Sacharnoski certified Sensei Hausel as the sokeshodai (first generation grandmaster). Soke Hausel had trained under a number of martial artists over the years beginning in 1964, and each art influenced the development of Seiyo Shorin-Ryu, but by far the greatest influences were from the martial arts taught by Dai-Soke Sacharnoski. Soke Hausel took techniques from Kyokushinkai, Wado-Ryu, Shotokan, Dai Yoshin-Ryu Kempojutsu, Seidokan Shorin-Ryu, Yamashita Shorin-Ryu, Juko Ryu, and Yamanni Ryu Kobudo to create Seiyo-Shorin Ryu. Seiyo-Shorin Ryu is distinguished by having nearly 70 karate, kobudo and samurai arts kata, bunkai for all kata, and applied focus and power in every punch, block and kick in the system. It is the philosophy of Seiyo Shorin-Ryu (as it is in some other traditional martial arts) that one should be able to end any attack with a single block and strike. Seiyo translates as Western as opposed to Eastern indicating a strong western cultural influence. The system is referred to as Seiyo no Shorin-Ryu Karate Kobudo Kai, Seiyo Shorin-Ryu, Shorin-Ryu Seiyo Kai, Seiyo no Shorin-Ryu Budo Bugei Renmei, and Seiyo No Shorin-Ryu Karate Renmei. top refer to the Shaolin-si monastery where kung fu originated in China. It is apparent the North American public remains poorly educated in martial arts. For instance, most people remark they have never heard of Shorin-Ryu Karate. 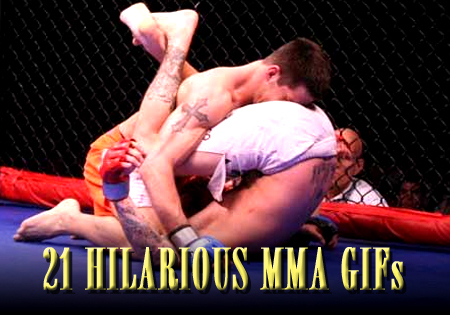 Some even ask what kind of MMA is Shorin-Ryu? MMA doesn’t even fit the definition of martial art; whereas, Shorin-Ryu karate traces its roots to the origin of karate on Okinawa centuries in the past. Shorin-Ryu and Karate are essentially the same. Shorin-Ryu was created on Okinawa and can trace its origin to the Shaolin temple in China. In fact, the kanji used to write Shorin-Ryu translates as Shaolin-style and refers to the Shaolin-si monastery. Most think karate is Japanese, but karate is Okinawan and created when the Okinawa Prefecture was a sovereign nation ruled by monarchs. It became Japanese only because Okinawa was conquered by the Satsuma Samurai of the Shimazu clan from Japan in 1609 AD. Even so, Okinawa remained a separate nation until 1879; and karate was not introduced to mainland Japan until 1917, but it was not accepted by the Japanese until 1922 and the karate that was introduced was modified from that taught on Okinawa. When introduced to Japan, kata were modified and renamed. For instance, Pinan kata were renamed Heian, Naihanchi (Naifanchi) kata were renamed Tekki, and so forth. Only ‘omote' techniques (those visible & understandable) were taught to the Japanese, while secrets (kuden) remained in Okinawan hands such as techniques identified as 'irate' (not obvious), 'miegakure' (intentionally hidden), 'okras goroshi’ (delayed killing strikes), ‘tine hsueh’ (vital point strikes), and ‘hitotsuki hitogeri’ (one strike knockouts). Most historical facts related to karate’s development were lost over time and nothing was written about the art as it was kept secret among Okinawan practitioners. Some suggest karate developed in the late 14th century when 36 artisan families from Fujian China relocated on Okinawa and introduced kung fu. A document known as the Bubishi reportedly accompanied these families, which is a primitive text of white crane kung-fu. After the art had been created, there was more than one path of evolution. Okinawa royalty and body guards learned kung fu (and later karate). 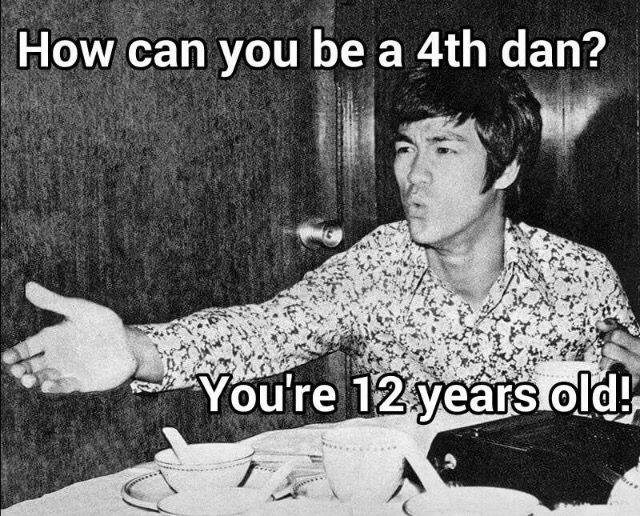 There is evidence peasants also learned kung fu. In 1480 AD, King Sho Shin of Okinawa issued an edict banning the use of bladed weapons - likely because he was fearful of civil war. After the proclamation, many Okinawa fishermen, merchants, and farmers began training with tools of trade as weapons for self-defense and the art of kobudo was created, and now practiced world wide as well as Mesa, Arizona. Utah, and Wyoming. To describe karate, the Okinawan word tode was used in the early 18th century. Tode refers to Chinese hand (i.e., karate). Tode was also used in reference to a Chinese visitor named Kushanku (also Kusanku ) who taught kung-fu on Okinawa. Some suggest that tegumi (Okinawan traditional wrestling) was enhanced about this time by adding kicks, strikes and blocks of kung-fu to the wrestling and creating karate. The weapons ban on Okinawa encouraged refinement of karate & kobudo. Tode (te) took different paths in the villages of Shuri (26°13'1"N; 127°43'9"E), Naha & Tomari. Each became a center for a different sect of society: kings and nobles, merchants, farmers and fishermen, respectively. Thus, different styles of te (karate ) evolved in each village and subsequently became known as Shurite, Naha-te and Tomari-te. Collectively these were called Okinawa-te (Ryukyute) and tode. In other words, several different terms were used to describe karate. The Chinese character used to write tode can be pronounced 'kara' thus tode was replaced with kara-te or 'Chinese hand art'. The modification of karate to kara-te-do was done to adopt an alternate meaning for the Chinese character of kara which implies 'empty'. Thus, the term karate came to mean 'empty hand'. The ‘do’ use in karate-do implied 'way' or 'path' to emphasize a moral and spiritual philosophy, something not seen in any Mixed Martial Arts school (MMA). At some point in the 19th century, the Okinawa masters decided to call their art karate. Soon different ryu (styles) were named. For example, Shuri-te was renamed Shorin-ryu to emphasize its roots at the Shaolin temple. Naha-te was renamed Goju-ryu (hard-soft syle) to emphasize the mechanics of the karate style. Much of Tomari-te was lost over time, but some tomari-te kata (forms) remain incorporated into various shorin-ryu schools. The first martial art is thought to have originated at the Shaolin Temple of the Henan Province. Legend suggests a Buddhist monk by the name of Bodhidharma traveled from India to the monastery in China where he taught Zen philosophy at the temple at around 525 AD. When Bodhidharma began teaching meditation at Shaolin-si (small forest temple), he found most monks were unfit & lazy and many fell asleep during meditation. Realizing the monks needed physical conditioning to improve their minds, he began teaching a set of physical exercises along with meditation known as 'Shi Po Lohan Sho' (18 hands of Lohan) reputed to have been a fighting form or system. The blending of Lohan with Zen led to the first martial art. In order to be an art, there must be some esoteric value for the spirit, body and soul. Without philosophy, it cannot be an art. This art was passed on to Okinawans and was modified into karate. We recommend reading a wonderful historical novel about this legend entitled ‘Sudden Dawn’ by Goran Powell that is a fictional story based on Da Mo (Boddhidarma) and his introduction of combat arts to the Shaolin. Today, we recognize Shorin-Ryu karate and its branches that include Shobayashi Shorin-Ryu (small forest style), Koybayashi Shorin-Ryu (young forest style), Matsubayashi Shorin-Ryu (pine forest style), Matsumura Seito Shorin-Ryu (orthodox style), Sukunaihayashi (Seibukan), Ryukyu Hon Kenpo (Okinawan Kempo), Kodokai Shorin-ryu, Seidokan, Kobayashi Shorin-Ryu (Shidokan, Shorinkan, Kyudokan), Chubu Shorin-Ryu, Ryukyu Shorin-Ryu and Seiyo Shorin-Ryu (Western Shorin-Ryu). All traditional martial artists know Anko Itosu (1831-1915) and Gichin Funakoshi (1868-1957). Itosu is the 'Grandfather' of modern karate and Funakoshi is considered to be the 'Father' of Modern Karate. Funakoshi was a practitioner of Shorin-Ryu Karate, although his Japanese students renamed his art as Shotokan to honor the great master instructor. But Shotokan became a sport form of karate unlike Shorin-Ryu. Weapons were stripped from Shotokan, and the style of training was for sport competition rather than for actual combat like Shorin-Ryu. Itosu (and other Okinawan martial artists) often had more than one name. This is because many Okinawan names were complicated by social status and some maintained names for different occasions, while others changed their names. Many Okinawan martial artists had more than one name, which was also the case of Itosu. Anko (Yasutsune) Itosu (1831-1915) was one of the most influential 20th century karate pioneers, maybe even more so that Funakoshi. Itosu initiated the instruction of traditional karate (there was no such thing as sport karate, McDojos or MMA; karate was simply a weapon of self-defense and a way to improve a person's mind, self-respect and respect for others) in the Okinawan public schools at the end of the 19th century. Something North America would greatly benefit from to stem degradation of morals, values and poor physical conditioning. Prior to that, karate was hidden from outsiders. At the same time in Japan, most martial arts were Combat arts developed around samurai and Okinawan pechin. Hombu dojo in Mesa. Bunkai technique from Naihanchi Shodan kata. In addition to Itosu, his student Gichin Funakoshi worked to introduce karate to the Japanese in the early part of the 20th century. Itosu is credited with creating the five Pinan kata (referred to as Heian in Japanese) extracted and modified from the long and complex Kusanku kata (known as Kanku in Japanese). He is also attributed to breaking down the complex Naihanchi kata (Tekki in Japanese) into three kata (Naihanchi shodan, nidan and sandan). Some believe he created the Kusanku Sho and Passai Sho. Itosu was born in 1831 near Gibo station (26°13’28"N; 127°43’8”E see Google Earth) in the village of Shuri, Okinawa. Shuri is now a district of Naha City, but was formerly a separate village. Shuri village is where Shuri-te evolved and was renamed Shorin-Ryu karate in 1933 to honor its Chinese roots. The kanji that describe Shorin-Ryu translates as “Pine Forest Style” in Japanese, and translates as “Shaolin Style” in Chinese indicating ties to Kung Fu practiced by the Monks of the Shaolin! Itosu’s first name was Anko (the kanji can be alternately read as Yasutsune, and his last name Shishu can be read as Itosu), but is commonly known as Anko Itosu. Itosu was born to a prominent family on Okinawa and educated in Chinese literature. At approximately 5-feet, Itosu was nearly average height on Okinawa and many described him as stocky, barrel-chested, and very strong with considerable discipline. But as a child, Itosu was shy and introverted - karate gave him confidence! Itosu trained under the great karate practitioner Sokon ‘Bushi’ Matsumura who in turn was a student of Tode Sakagawa (1733-1815). Tode Sakawgawa in turned studied under Kusanku (for whom the famous Kusanku-Dai kata derived its namesake). Itosu also trained under other martial artists including Sensei Nagahama. Nagahama was known to be very diligent and stressed building the body. It is likely this influenced karate which was considered a method to develop physical and mental strength and as well as self-defense. Anko Itosu began training under Matsumura of Shuri, later trained with Nagahama of Naha City, and upon Nagahama's death, he became a disciple of Gusukuma of Tomari village. Thus, Itosu trained in all three-principal systems of Okinawa Karate. Several Shorin-Ryu styles now follow with this same concept, such as Seiyo Kai Shorin-Ryu, which draws kata from each primary system. Another interesting perspective of Itosu and his influence was identified in a book "Okinawan Karate: Teachers, Styles And Secret Techniques," by Mark Bishop. Bishop contrasted the karate of Azato which had Matsumura heritage mixed with a swordsmanship perspective, and that of Itosu." While Azato believed the hands and feet should be like bladed weapons and one should avoid all contact of an opponent's strike, Itosu held the idea that the body did not have to be so mobile and should be able to take the hardest of blows” (one of the reasons the practice of shitai kori or body hardening is practiced by some shorin-ryu schools). Part of Itosu's karate training included makiwara. He once tied a leather sandal to a stone wall in effort to build a better makiwara. After several strikes, stones fell from the wall. After relocating the sandal several times, Itosu had destroyed the wall. In 1901, Itosu began teaching karate at the Shuri Jinjo Primary school and taught at the Dai Ichi middle school and the Okinawa prefectural Men's Normal School in 1905 (Bishop, 1999). In 1905, Itosu was a part-time teacher of karate at Okinawa's First Junior Prefectural High School. It was here that he developed the systematic method of teaching karate techniques still practiced today. The late Soke of Matsubayashi Shorin-Ryu Karate - Shoshin Nagamine (1907-1997), stated "Kata is the origin of karate. If there is no kata, there is no karate! Without kata, there is no martial art - instead it becomes nothing but primitive street fighting!” When used properly, kata will enrich and improve training. But if used improperly, it will do the opposite – so kata provides in-yo (opposite) paths much like of everything in life. Kata should never be relaxed. It needs to be practiced with focus and power. When practiced like tai chi, it not only destroys technique but also makes it difficult for any meaningful self-defense. In traditional karate, students must train to develop a one-punch or kick knock out unlike sport karate, MMA or Boxing, where the sportsman trains to last one or more rounds. Mr. Miyagi: “Karate come from China, 16th century, called te, "hand." Hundred year later, Miyagi ancestor bring to Okinawa, call kara-te, "empty hand." Daniel San: “I thought it came from Buddhist temples and stuff like that”. Mr. Miyagi: “You too much TV”. Traditional karate was never a competitive sport on Okinawa. Karate was initially developed to train body guards of royalty and later introduced to peasants. 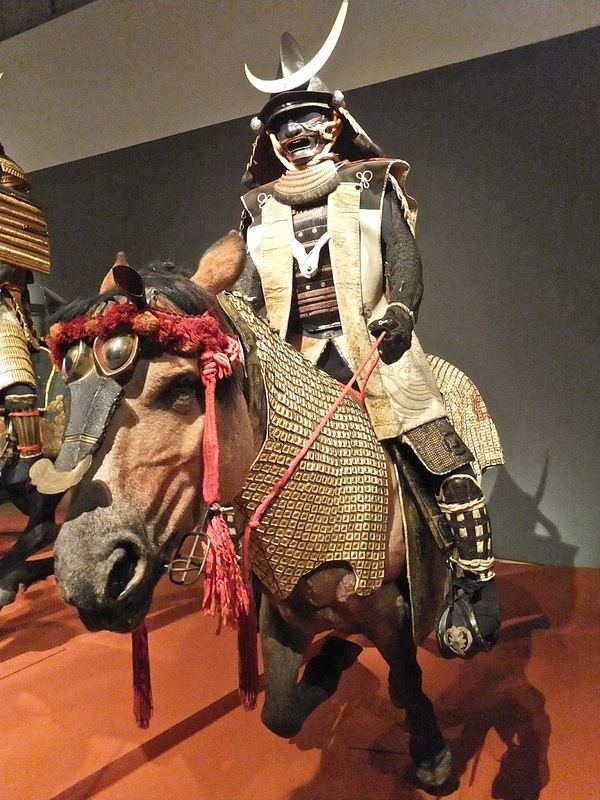 It was a weapon of self-defense kept secret from all outsiders until introduced to mainland Japan in 1922. Prior to that time, it was never practiced as sport. Shoshin Nagamine said "Karate may be considered as the conflict within oneself or as a life-long marathon which can be won only through self-discipline, hard training and one's own creative efforts." The father of modern karate, Gichin Funakoshi stated, "There are no contests in karate.” Sport karate was created after the second world war by mainland Japanese martial artists who trained under Funakoshi against his wishes. Daniel San: “All right, so what are the rules here?” Miyagi: “Don't know. First time you, first time me”. Daniel San: “Well, I figured you knew about this stuff. I figured you went to these before. Oh great, I'm dead. I am dead. You told me you fought a lot”. Miyagi: “For life, not for points”. Kata has likely been part of karate since it was created. Okinawans had no cameras, and they needed a way to remember the bunkai (self-defense applications) in Karate. They did this through kata – a living encyclopedia of karate techniques and self-defense applications. If you are in Arizona, Utah, or Wyoming, you can train in this traditional art of Shorin-Ryu Karate.